Mtech Lite uses all of the 1 mile track. Used for Formula Renault Driving Experiences. Stafford Driving Centre was established in March 2003 at the former Royal Air Force Station, RAF Seighford and is located 3.6 miles (5.6 km) Northwest of Stafford, Staffordshire, England. Aircraft operations commenced in January 1943 before Boulton Paul Aircraft Company took over the site in 1956 as they needed a longer track in order to test larger and heavier aircrafts in the Jet Age. They extended the main runway that is used by Stafford Driving Centre today by another 200 yards, making it 2000 yards in total which makes the race track today just over 1.1 miles long. The site was closed in January 1966 and returned largely to agricultural use. Most of the site today is currently leased by Staffordshire Gliding Club who moved to Seighford in 1992. 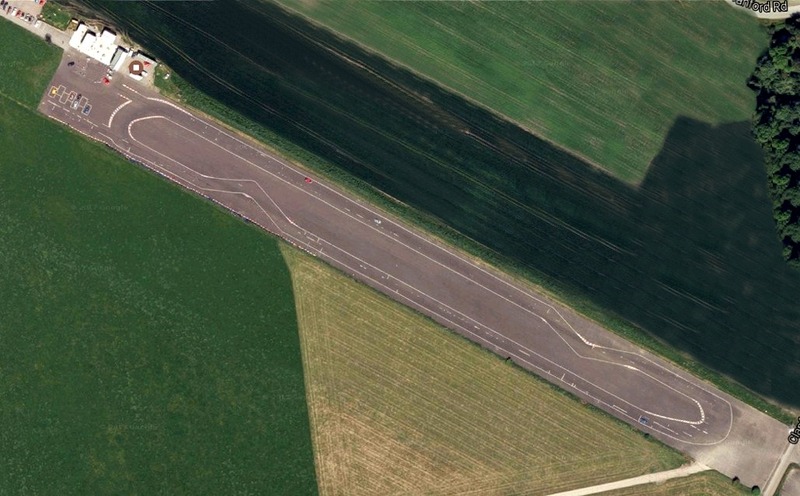 The one remaining tarmac runway to the south of the site is used by Stafford Driving Centre, a driving experience company. The track today is 1.1 miles long and consists of 2 main hairpins and chicanes. The racing lines are marked out by painted lines and the coned layout of the circuit provides extra safety for both the cars and the drivers, allowing top end testing to happen at great speed. 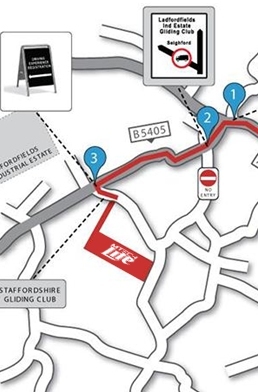 Stafford Driving Centre is a further 200m on the right.